Papers on all aspects of India's aid & soft power connections with Africa, including capacity-building via South-South cooperation, cultural diplomacy, FDI, & African agency. India's discourse about its history and civilizational links with Africa has remained constant; but redefined by its 90s economic liberalisation, its series of India-Africa Forum Summits, and Modi's 10 principles of African engagement. Human resource development has been the heart of India's cooperation since 1947, reinforced by India's Technical & Economic Cooperation support from 1964 to civil and military training in India; by scholarships; and by much institutional development in Africa. Modi's principles strongly underline the building of 'as much local capacity as possible'. 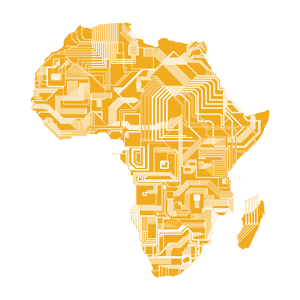 India's comparative advantage in information technology (IT) is illustrated across Africa in IT centres of excellence, and in the connectivities of the flagship Pan-African E-Network, now relaunched as India's Global Education & Health. In the Asia-Africa Growth Corridor (2016), India partners with Japan to enhance capacity & skills, and people-to-people partnership as two of four key pillars. India's NGOs are increasingly present in Africa, while India's multinational brands are now continent-wide, though India-Africa skills transfer was evident from 1920s. Meanwhile India's soft power in Africa is promoted through state economic support, media, film, and its diasporic connections. Papers are encouraged on these and other aspects of India's aid and soft power in Africa, but equally on African agency and symmetry in India's south-south cooperation. India now has an Africa policy. But does Africa have an India policy? #Gandhi for come down -The Gandhi statue controversy in Ghana. Implications for India's Africa Soft-Power strategy.